Today has been a busy day for me. I got up early this morning to volunteer and help set up the Adams Morgan Day Festival (which is an awesome event, by the way). Now I’m sitting at home resting my aching feet and waiting for the Redskins game to come on so I can root for my team! But in between, I have found 3 beautiful tributes to the 9/11 tragedy, and I felt compelled to share. First, an adorably touching tribute by children singing “Empire State of Mind” to New York Firefighters. Statefarm outdid themselves with this amazing commercial. I absolutely love it. Next, an inspiring article by motivational speaker and life coach, Gabrielle Bernstein, where she shares her experience in New York on 9/11 and a reminder of the power of love and unity that often sprout from such devastating circumstances, yet still have the ability to influence our present and future. I graduated in 2001, right after the dot-com bubble burst. Much like today, the economy had taken a turn for the worse. We were told that there were no jobs “out there” and to take whatever we could get. Times were tough and everyone felt it. Then on September 11, 2001 things got way worse. I walked out of my apartment that morning to find people running north covered in ash. I looked several blocks down Seventh Avenue and saw smoke pouring out of the World Trade Center. This was the end of the world as we knew it. Like all New Yorkers I have a story of where I was on 9/11. The horror of my story pales in comparison to those who were in the Twin Towers or those who lost loved ones, but it was an experience I’ll never forget. Believe it or not, as much fear and terror as I saw that day, I saw an equal amount of love. The love I saw was overwhelming. Cab drivers shepherded people uptown, neighbors acknowledged each other for the first time, strangers hugged on the street: everyone was connected, it seemed. On that day our city released all separateness. No one was more special than anyone else. We were all one. There was so much fear around us that we had no other choice but to call on love for help. We prayed, lit candles and prayed some more. We all turned to something greater than ourselves: we turned to love. I felt as though angels were watching down on us that day, smiling with pride as we turned to love for help. I felt as though for a few months following 9/11 we held on to this way of being. People raised money, held hands and took time off from their worldly priorities to be with family and friends. Then, it seemed to me that when survival was no longer our concern, something shifted. It felt as though as soon as we were slightly back on our feet it was as if we’d forgotten about love. At this point many of us turned to separation in a greater way that we’d known before and ego ran riot. Politicians promoted spending, news anchors promoted fear, and racism took on a whole new form. Separation, attack, judgment and fear were on fire. In addition, many of us worked hard to numb our sadness. Like good New Yorkers, we drank, ate and got back to work. Our “achieve” mentality was greater than ever. This was totally the case for me. We all have the capacity to push away pain and turn our back on struggles from the past. As a nation we have worked hard to recover but in many cases we tried to forget. This week as we embark on the 10th anniversary of 9/11 it’s time to reflect, go deep and remember what we went through. Let’s fearlessly go back to that day on September 11th, 2001 and remember the love, compassion and gratitude we had for our country. Together let’s reconnect to the oneness we felt and make a commitment to carry that truth into our day-to-day lives. As we move forward let’s work together to bring the love and light we learned that day into our present so that we can shine more light onto the future. And last but not least, another beautiful commercial (by Verizon this time) in tribute to 9/11 highlighting the beauty and innocence of children and the grace and guidance of God. I hope you enjoyed this plethora of inspiration and remembrance. 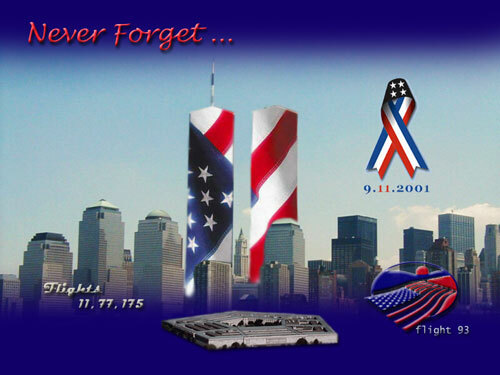 Share your thoughts in the comments: What has been your favorite tribute to 9/11 today? I just love the article by Gabrielle Bernstein. Thanks for sharing here as I’d never seen it before and I’m a fan of hers. Hey GG! No problem. I loved it too, especially her message at the end. That is exactly the message I want to promote in remembrance of 9/11.